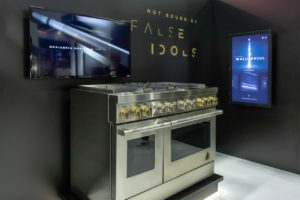 With its new brand campaign, Bound By Nothing™, and limitless approach to today’s luxury audience, JennAir invites owners to experience a frictionless kitchen experience. Coming to market in late 2018, the JennAir digital platform delivers heightened engagement to consumers and is seamlessly integrated into the new suite of JennAir products. The platform brings faster, smarter services to deliver the meaningful, custom interactions consumers expect in today’s connected world. Connecting owners directly to JennAir’s unparalleled service and knowledge epicenter is yet another way the brand is living through its Bound By Nothing campaign, moving beyond category conventions to deliver what luxury consumers crave. The digital platform boasts a powerful backbone to control appliances remotely1, engage the JennAir call center, beckon specialists with the touch of a finger, enhance food journeys, and access personalized insights — all in the pursuit of experiential luxury. 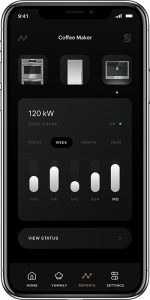 With connectivity spanning throughout the kitchen and JennAir appliances, the future of appliance reliability is undeniably digital. Via the JennAir digital platform, owners can directly access the brand’s customer center— with a single touch. Consumers can expect continued optimization and tech integration across the brand’s portfolio. Free to download and available for Android in the Google Play store and in iTunes for Apple, find more information on integrating the platform with Google Home, Amazon Alexa and Nest at https://jennair.com/connect. 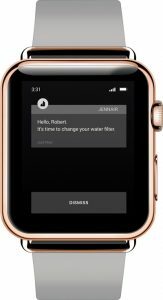 JennAir will release an Apple Watch app to further ease consumer use in the coming months.